I LOVE being able to giveaway awesome things like the Silhouette machines. I use mine ALLLLLL the time. I recently used it to make labels for containers in my office closet and I also just made some garden signs. I ADORE gardening. I have a vegetable garden that is about 80 feet by 25 feet. 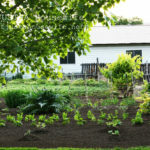 I think it is so relaxing to plant, weed, and harvest. Back in 2009 I made some garden signs. I bought the metal stakes online and then I cut some plexiglass to fit inside. I ordered some vinyl lettering online as well. It was before I had my Silhouette and long before I started my blog. They were darling, but there was a big problem. After only one year the plexiglass yellowed and cracked. I stored the metal stakes and have been meaning to make new ones ever since. This year I decided it was high time I tackled it. I went to the local metal shop and asked for metal pieces to be cut (3 inches by 5 inches). It was less than $20 to have 20 something cut. I cut out my vinyl and applied it to the metal. I have been told that good quality vinyl will last 4-6 years outdoors. And since I bring mine in during the winter I think they will last a little longer before I have to replace the vinyl. 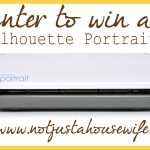 Today I get to give away one Silhouette Portrait machine!!! There is also a really good promotion going on that starts today. 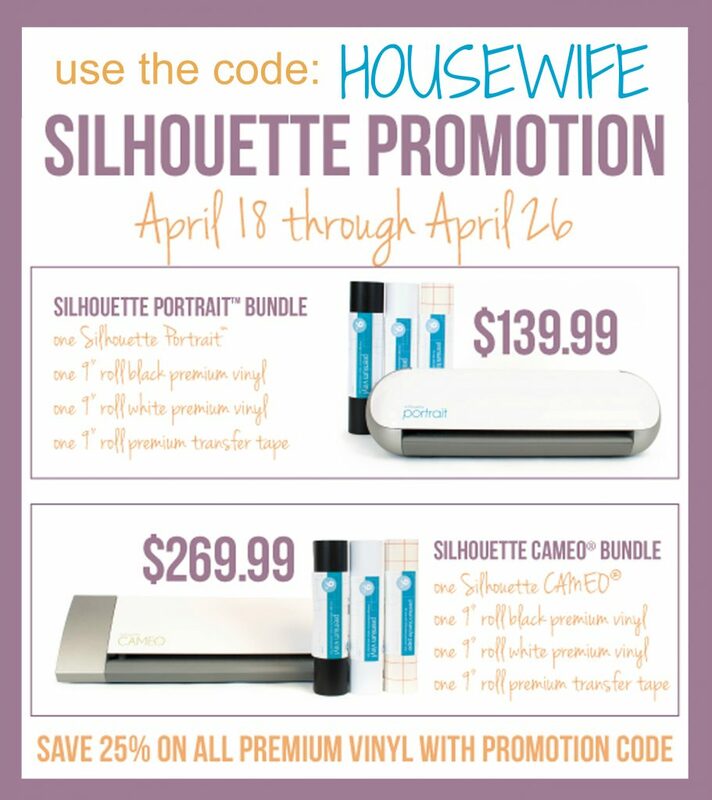 Silhouette reduced the price of their vinyl from $14.90 to $9.99 PLUS it is on sale at 25% off. So even if you already have a machine, this would be a good time to stock up on vinyl. I have some containers in my pantry I would love to label! I’ve been wanting one of these for ages – fingers crossed – thanks! I don’t do much vegetable gardening but I would love to win this to label my garden flowers! Thanks for the chance to win! 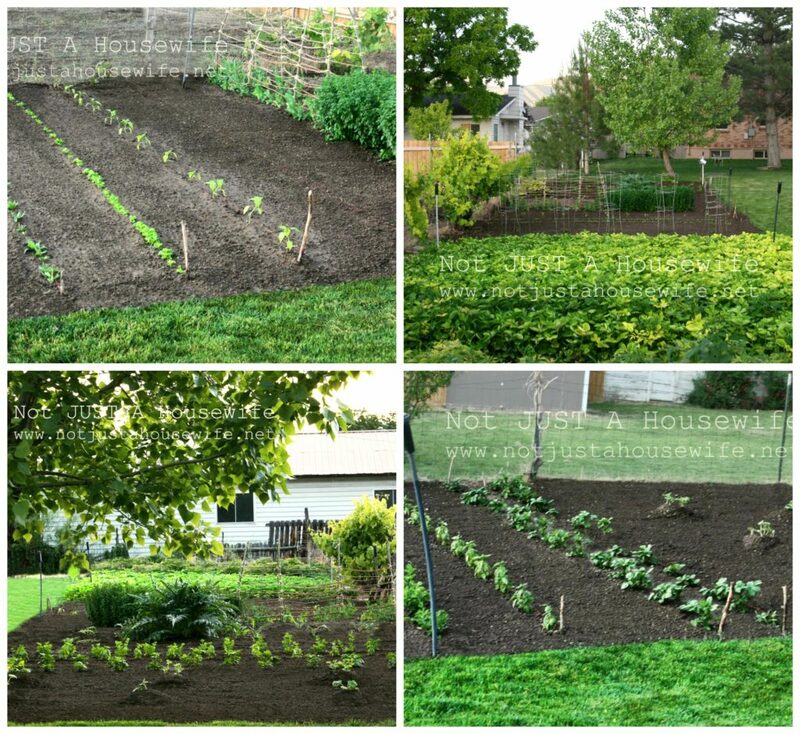 I love this idea and would love to tag our raised garden with this type of sign(s)! Thank you for the opportunity! I could so use this. My greenhouse needs some organizational help. I’d label my kids’ art supplies! Great Giveaway! I am in the process of re-doing my youngest daughter’s room, so this would be awesome!! Also, my middle child will be moving into her first apartment so tons of ideas there!! I’m crossing my fingers! I hope I win! The first thing I would label would be some pretty kitchen jars. Pantry needs lots of labeling. The containers of flour & sugar & such in my pantry are crying out for some prettying-up. Thanks for the chance! SIGNS!!!! MY HOUSE NEEDS ARTWORK TOO. I would use it to label my craft supplies. I am excited! So many projects stacking up, but I definitely need to organize my kitchen and this would be the perfect way! If I won this, I think I would go around labeling everything in my house. I would make labels for my pantry! Would use it to make signs for my husband’s wooden bowls at upcoming festival season! Thanks…..pick me! A fun sign for my chicken coop! I have a lot of magazines to make file boxes for! I would label my kids toy bins! Thanks so much! Great giveaway!! Would love this!! Thanks! I would label things in my kids’ rooms so when the hubby helps them clean, thing actually get put where they go and I’m not redoing all their hard work! I am not sure what I would label b/c I am a labeler and I own the original silhouette but have been wanting to upgrade! I would label everything in my three girl’s play room so they can tell where everything goes when it is clean up time! My craft supply bins, perhaps! If I won the Silhouette I would make some of my own. What a great giveaway!!! I am making a nursery for new grand babies and I would totally use the Silhouette for their new room. I would etch some glass storage jars in my pantry. I would love to make labels for my son’s sippy cups and closet organizing tags! I really need to make a chore chart! Your garden looks great. Thanks for the giveaway! I’d label the storage baskets in our mud room! I love your garden! 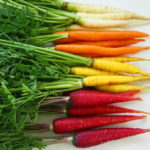 How do you keep your vegetables safe from the wildlife! I have wire fences around mine, and last year a family of groundhogs kept crashing my garden and eating everything in sight! I would label my garden once I figured out what got planted where. Then I’d start organizing. My kitchen stands in need of organizing and labeling. I would label the containers in my pantry. 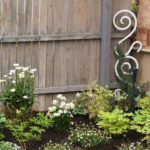 Your garden looks great. I’m hoping mine does well this year. I’d really like to make some vinyl quotes for my girls rooms and bath. Great giveaway. Thanks. I would label my craft supplies. I have been wanting one of these for a long time! I would make some labels for some baskets that I have if I win!! I would label my kitchen pantry. It has gotten out of control and needs to be organized and labels would be a HUGE help. I would drive my husband crazy with all the labeling I’d do. Yikes. I want to label everything! starting with the office. Would love to make cute signs for my garden like you did. I have been going to do this now for about 4 years. :) Thanks for the opportunity to enter and for your cute ideas. Oh my. I would label. Label everything! I would really love to create some new labels for all the goodies in my pantry! Hello, wow if I were to win the Silhouette I would come right back here and make these plant stakes. I already have the blank plant stakes. Love what you did. Thanks for a great giveaway! I would label everything in my pantry and then move on to the bathrooms! I’m trying to organize my sewing room, and would label binders, drawers, etc. Also, I have a small garden, and would label garden markers, like you have done! I would copy you and make markers in my garden! This little machine looks like so much fun! I really need labels on all my giant plastic storage bins in our storage room! I would love to win! Storage containers for my boys. I would start by labeling all the baskets in my linen closet! I want to label my pantry canisters so bad! Bins in my kid’s closet!! It could make being a girl scout leader so much more fun!!! I am reorganizing my kitchen so labels for that would be first. I would make labels for my kids toy room! Storage tubs for my grandkids’ toys. Thanks for the chance to win! I’m starting a home business and this would be a great addition. I would label all my pantry storage items! I have been saving up for one of these so this is such a fun giveaway! Thanks! I would make labels for my boys’ toy room. I think I’d label my pantry. I love your garden markers, I would like to make some of those! Thanks so much for the giveaway! The first thing I’d label are all the baskets I just finished for our linen/first aid closet! The first thing I would use the Silhouette for would be labels for my (upcoming) twins nursery. I have canvas bins for socks, onsies, pj’s, burb cloths, ect…. With a boy & girl there really is double of everything! I would use the Silhouette for labels for my new kitchen. I would use it to label everything! I would label all of my baking & cooking ingredients. I would make name stencils then etch my glasses! I would make some stencils! The first thing I would label would be all of my crafting drawers. I would label the pantry and kids toy buckets. LOVE THIS MACHINE! Thank you for doing this giveaway! I would label jars in my kitchen or something in my little boys room! I’d organize my pantry with all those cute labels! Thanks. This would be amazing. I have waned one for years, but feel guilty about spending the money. I would label all my totes and school supplies since we home school. not sure what I would label but I have some wall art and clothing ideas! I would label my storage totes. I has to be better than sharpie. I would label my storage closet! I would label the doors ! I would label all of the glad jars in my pantry. Right now they’re labeled with sharpie, but it runs off. I would make labels for my kids toys… especially all the Lego kits! Wow! I would make some garden markers for sure! What a great idea…and I’ve been searching for a way to do this. Thanks for the tips! Love your blog! Thanks for all of your hard work! I would label all of my daughter’s toy bins! I’d label some storage stuff I’ve got in my pantry. Thanks for this giveaway! I would label all my craft stuff!! Thank You for always having inspiring ideas and awesome giveaways. I would label my office organization stuff! This would be awesome! I would label my disaster of a pantry – because my husband never seems to know where things go! I would label the kids toy bins and my craft room bins! I would label all my craft bins (working on my new home office/craft room)!! I would label my office closet and vanities in the house that I’m organizing right now!! I would label everything in my pantry! I’d label some sippy cups I just bought for my two boys to use in our van. I’d definitely start with labeling my pantry, then label my picture organizer, then label the desk organizer, then labe the kids toy bins! I’d make labels for our outdoor party area. I would label things in my pantry! I love an organized space! I would love to label EVERYTHING in my stamping room! I can’t decide what I would start with…probably my craft room supplies would be my first task! I would definitely label all of my children’s art supplies, toys and puzzles and things like that. Along with my baking supplies. Oh my goodness, what wouldn’t I label with this?! I’ve just finished repainting my main bathroom, and have been trying to decide/make appropriate decorations and art for the walls. One of the ones I want to make is a sweet saying sign painted on canvas, but I don’t have any letters to either trace or paint over. I guess this would be my first project if I win! I’d start with the food in my pantry….and then the rest of my house!! I would love to try the sketch pens! I would label EVERYTHING!!! but start in the kitchen definitely! Would dearly LOVE to own one of these – SO many things to label!!! Thanks for the chance to win! I would love to label all of the bins in my son’s room with his toys in them. Love it! Thanks! I would make some labels to help me organize my pantry. I have the wood all prepared fr a scripture sign and have been sweating all the cutting in freezer paper I am going to have to do to complete it. what a blessing for silhouette. My little 8 ft. x 8 ft. garden provides enough space to have spinach, tomatoes, peppers, winter onion, asparagus and sometimes I try other things. I’ve already planted my spinach and hope the seed hasn’t floated away! Not Just Housewife fan for months now. I would label everything! My writing is horrible so the Silhouette would see a lot of use at my house! It would be fun to win: to learn something new and find out what the buzz is about! making labels for everything! I love your plant markers for your garden.oh the things I could do with a Silhouette Portrait. The first thing I would label if I won is everything in my house. For some reason my boys do not know how to put back things where they belong! Thanks for the great giveaway! VINYL PARTY!! I would love to just go to town cutting and making signs, cards, crafts with the Silhouette and their vinyl projects. Looks so fun! It would be such fun to have one of these. Keeping my fingers crossed! I would label a vintage rx box I found years ago. i would make some stencils to label everything i own!! so excited!!! I would make some labels for my pantry! I’m in awe of your garden; it’s beautiful. I, too, need some plant labels. Last fall I puts lots of perennials and bulbs in pots, but it seems like half the labels are missing (just Sharpie on pieces of a cut up plastic container). Or maybe I forgot to make them? I’d love to have proper labels. From there…wow, so many things! But mainly I’d love to use it for card making. Would SOOOO love to win – I enter all the competitions, cause I don’t have the $ (or the justification, yet!) to purchase one! I would make labels for everything! I would label all the baskets in my pantry and my craft closet. I would label my new half pint canning jars I use to store my scrapbooking embellishments. I would label everything in my new office! I am in the middle of cleaning out my garage. Would love to be able to label all the different storage bins! I would use it to label all my storage bins. Oh my goodness, I have been drooling over that Silhouette for so long, but never could justify purchasing it (we moms always put ourselves last, huh?). CUTE garden labels! Love your blog!! I would label my craft shelves! I have the Ikea Expedit cubes that I LOVE but they could use a bit more organization/labeling! I must have one of these. PLEASE OH PLEASE pick me! I would label my craft room. I would label the shoe storage – one box for each family member. I would love to make labels for my sewing and craft room. I would definitely label some kitchen canisters! I would label my grandchildren’s scrapbook/photo albums!! I love your blog and all of your cute projects! I have always wanted to get a silhouette machine! Love this! So much possibility with one little machine. Love all your ideas. Thanks for sharing and being awesome! WOW! That is one heck of a garden! Winning this would let me be able to continue crafting while my hand heals from surgery to repair 3 tendons and 2 nerves that I damaged when a window broke and sliced my wrist open! I will not know if the surgery was successful for at least 6 weeks. There is still a chance that I will lose use of my hand. Thank you for a chance to win a tool that will allow me to continue doing something I love! To see photos of my injury check out my facebook page. I just might end up getting a little too label happy, but I’d start with my craft supplies and the pantry. I’d label all of my kitchen storage! And, I LOOOVE your garden! i would make a ton of labels! I would label the kids toy bins with pictures. Hopefully associating a picture with the bins might help Mommy keep things organized. I would label my mason jars that are full with grains. I would love to win this awesome machine!! The first thing I would make is subway art! I’d reorganize and label everything in the pantry! Thanks for the chance! I would make labels for my craft drawers. I would really like to win. So exciting! Cute signs I could really use some myself! I would start labeling my kitchen & pantry and try and get organized! I have so many home decor ideas that I would love to make. I have been wanting this for so long and hope this is my chance to get one for all my projects. I am pregnant with my first baby and I would decorate the nursery!!! Those garden signs are a good idea!! I have lots of different varieties of tomatoes, so that may be a good first project for me! I would label all the plastic storage containers in our closets! 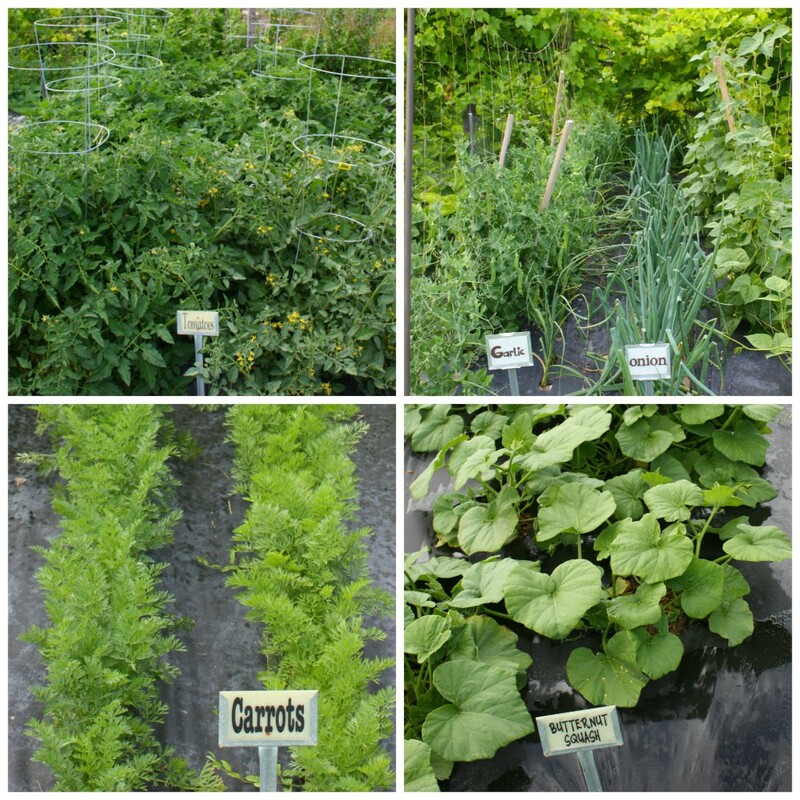 love your garden…. oh to have dark rich dirt like that we live in clay filled georgia but i amend amend amend with compost. I would start with some jars in my pantry. 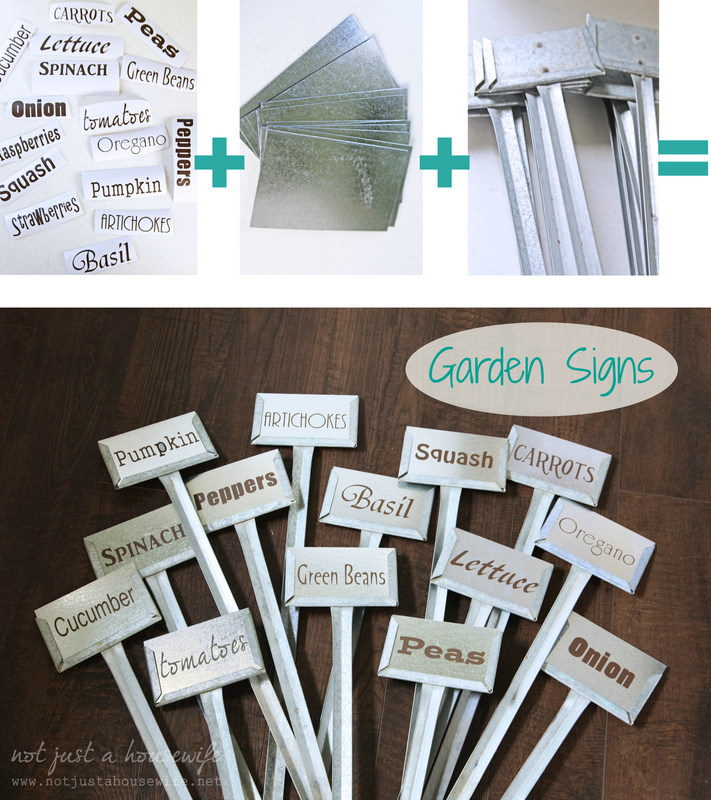 I’d label craft supplies, kids toys, pantry items… Also love the garden sign idea! Oh, the things I could label……. Your garden looks so pretty. Can’t wait for spring to really get here. To label my pantry items! I would make labels, labels and more labels in an attempt to get organized!! Love your ideas. Hope you have a great time at SNAP and thanks for the opportunity to win!! I would label crafting supplies boxes. They are clear so I can see through them, but it would be much quicker to grab with a label on the outside. Thanks for the chance to win. My pantry and arts and crafts closet need complete organization overhauls, so some cute labels out of vinyl would do the trick! I would label the bins for the toys and try to get organized. I have cute bins but they aren’t labeled and the kids never put stuff away where they go. I would also get an old piece of weathered wood and make a sign to go outside my tent for when I take 200 teenage girls camping for a week this summer. That deserves a cute sign, right? I’ve been wanting a silhoutte for so long!!! I’m itching to make some wall art. By the way, I found your blog and I’m fascinated by the way you made a secret garden. It’s so quaint. I also love the stenciled ceiling. I just don’t think my neck would survive the project. I would label scrapbooking drawers. Cute garden signs! I would love to make vinyl decals and ornate stencils! Thanks for hosting this givaway!!! so exciting! I would make mother’s day card if I win this silhouette! I’d totally label my kitchen canisters. I know it’s lame, but my kitchen could use some serious style! I would label my pantry! I have a ton of craft supplies to label! I’m not sure what I would make first, there are so many things I want to make. I definitely would make labels for my pantry! First thing I would label is the baskets in my scrap room!! Organization, bring it on! i want to make a greeting for my front door! I really want to make a huge chalkboard calendar. I would label everything! But first I want to make some really cute signs for my sister’s upcoming travel themed baby shower! i would love to make labels with the silhouette. so excited about this giveaway!! I’m pretty sure I would label everything, but I might start with my storage closet. I would label all of my storage containers! I would love to label stuff in my pantry! I would make labels for my new homemade cleaning supplies. Your garden is beautiful! I would make labels for my craft storage boxes. I would personalize my daughter’s bed. Thanks for this awesome chance! I’m a beginner when it comes to gardening but I bet the machine would help me get off to a great start ! Awesome giveaway! Seeing as it’s Spring, spring cleaning follows. I would first tackle my rustic country pantry and make labels for my storage jars! 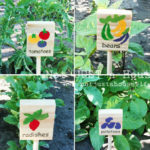 What a great way to make garden CUTE veggie signs!!! I would label my kitchen containers. :) Thanks! 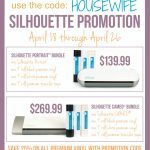 would love to win the silhouette giveaway! The first thing I would label would be my classroom! Then on to my pantry. Chalkboard labels for many things around the house!! I would make labels, labels, labels! Soooo many labels. I have the original silhouette machine I would just love a new one. I have really loved my machine but just like computers and electronics it is outdated and it makes it hard to use now. 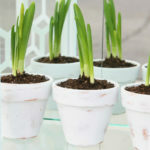 I hope I win so bad there are so many crafts on my to-do list and I too have some fun ideas for my garden! If I won, I would label the shelves in my kitchen! I so need a way to stay more organized! Thanks for the giveaway! Oh my goodness, what wouldn’t I label? I want to re-organize my spice cabinet really badly, and get matching jars and create coordinating labels so everything looks all pretty. I would label everything in my kitchen pantry! Love to win… first thing I’d label would be my spice jars! I would label everything in my craft room/office! OH, I have some alluminum signs similar that looks like a good place to start. But I have all kinds of art projects I could use this for!! I so wish I would get lucky this time!! I would make a sign for my laundry room. This would solve my garden labeling problems! Love it! I’m making some scripture art for my girls’ room makeover, so I would use the Silhouette for that! ohhh, hope I win, really want one of these!!! The first thing I would label would be toy bins! Thanks for the chance to win!!! I’d make some art for my kids’ rooms. I’ve just recently be one obsessed with getting a silhouette, I’m a labeling and organizing freak and my $20 labeler just isn’t cutting it anymore! I have way to many ideas for the Silhouette, but I think my first project would be to cut out fancy vinyl words in French to label my daughters drawers and toy bins…I just finished up a Paris themed room for her. I’d label the food containers in the pantry. Has the winner been chosen? I can’t find it anywhere.